Congratulations to our President, Brad Johnson, for receiving the Resource Based Excellence Award at the 100 Mile House Chamber of Commerce Business Excellence Awards and Citizen of the Year dinner on April 11th. *Update: Brad would like to congratulate the whole team at Sitka and thank everyone for their hard and continued work. 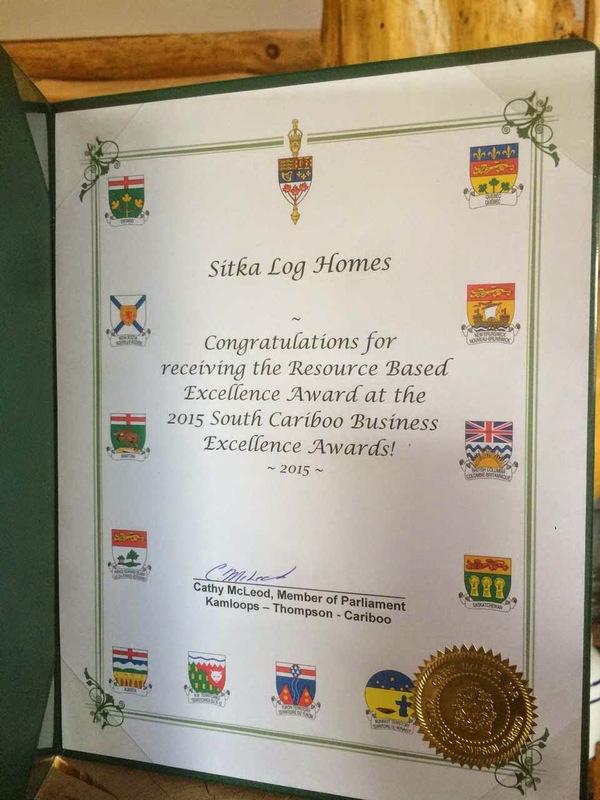 He also would like to add that Sitka Log Homes received official recognition from Cathy Macleod our local MP.